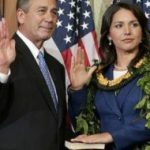 Among the host of high profile personalities to meet Prime Minister Narendra Modi during his New York visit will be a US politician of especial interest – Tulsi Gabbard, the first Hindu American in the US Congress and a strong supporter of Modi. 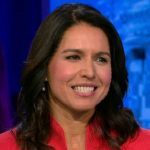 Gabbard, a 33-year-old US Democrat Congresswoman from Hawaii, is also an Iraq war veteran. 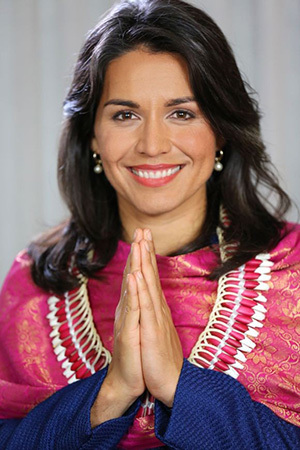 She is the first practicing Hindu American in the Congress who took her oath on the Bhagwad Gita, and had spoken to Modi after his victory in the general election and congratulated him and the Bharatiya Janata Party (BJP). She has been involved in the planning of Modi’s US visit and had last month met two BJP leaders — Vijay Jolly and MP Rajyavardhan Rathore — in that connection. 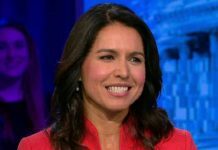 Gabbard has always maintained that it was a “great blunder” by the US government to have denied a visa to Modi in the wake of the 2002 Gujarat riots. She is to attend the Sep 28 speech by Modi at Madison Square Garden, New York, where he will address thousands of Indian Americans. Besides being the first member of the Hindu faith to be elected to the Congress, she is also one of just two female combat veterans ever to hold a seat. She joined the Hawaii Army National Guard after college and was deployed to Iraq in 2004 and in Kuwait in 2009. She was vocal in criticising the arrest of Indian diplomat Devyani Khobragade and said in a statement last December that she was “disappointed” when she found out about Khobragade’s initial treatment by law enforcement officials and added that while foreign diplomats must uphold US law they are also entitled to dignified treatment. 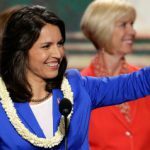 Gabbard maintained that Khobragade’s arrest should not come at the expense of such a vital partnership between the two nations. She has also been forceful in opposing a US House Resolution, 417, last year which condemned India’s religious freedom record. 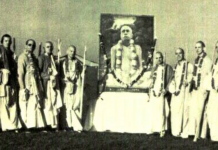 The resolution was widely condemned by the Indian and Hindu American communities as flawed and inaccurate. “Throughout history, India as a nation has been home to many religions, and has protected many as well, including Tibetan Buddhists, Jews, Christians, and Muslims,” she had said in a statement. 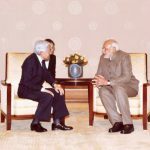 After Modi’s victory in the April-May election, she issued a statement saying she looked forward to “working with Mr. Modi and other members of the Indian government toward our mutual goals of peace, stability, and economic growth in the Asia-Pacific region. 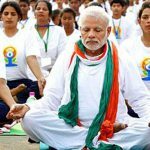 “A partnership between the world’s two largest and greatest democracies is necessary for us to successfully address the many global challenges we face, including economic growth, bilateral trade, the environment, terrorism, and security.” Prime Minister Modi will be in the US from 26-30 September.